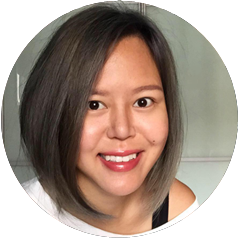 alexis blogs: Healthier Food Review: QQRice Singapore now offers Healthier Choice items! 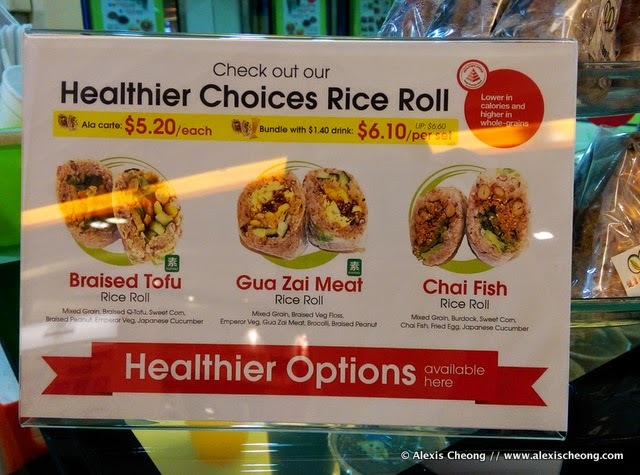 Healthier Food Review: QQRice Singapore now offers Healthier Choice items! Asians love rice. And I'm no different. I'll probably feel really uneasy if I'm to eat bread or pasta for weeks on end (as people who've lived or live in Europe might have to do) because I need my bowl of rice, or a bowl of rice noodles in delicious steaming soup. That's why I think it's brilliant that there's a chain of stalls in Singapore called QQRice offering takeaway rice rolls and wraps for us busy Singaporeans. What’s even better is that they've joined the HPB's Healthier Dining Programme to come up with Healthier Choice Rice Rolls. 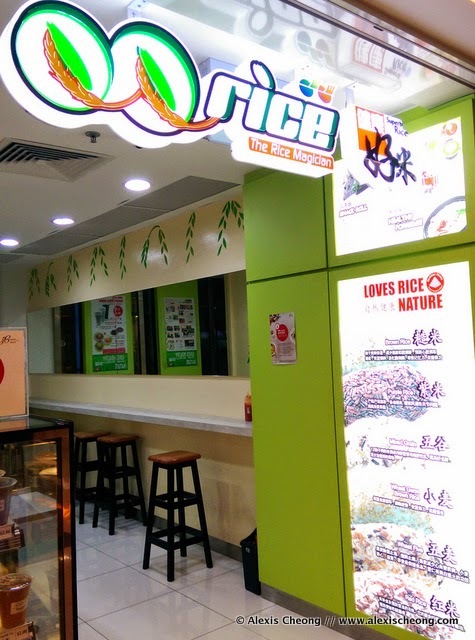 I found out that QQrice in Singapore is actually franchised from Taiwan, where all the different rice types and ingredients are also imported. 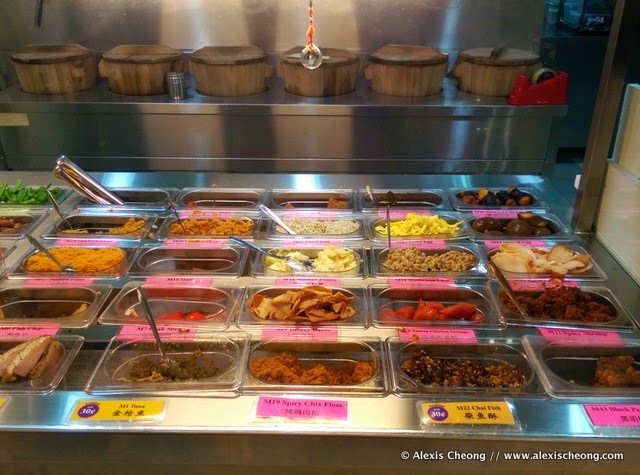 When I visited the Tanjong Pagar MRT branch for lunch, there was a steady stream of customers buying takeaways. 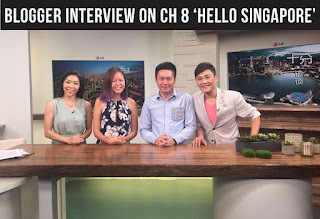 I was very impressed because I learned from my QQRice host that over the years, they have created a pool of loyal customers because of their insistence on maintaining a high quality standard in everything they do, be it in ingredients or the experience. 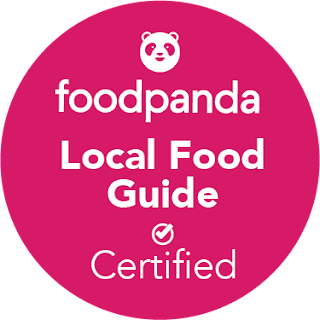 The dedication to quality is probably the first ingredient to success in the F&B industry. 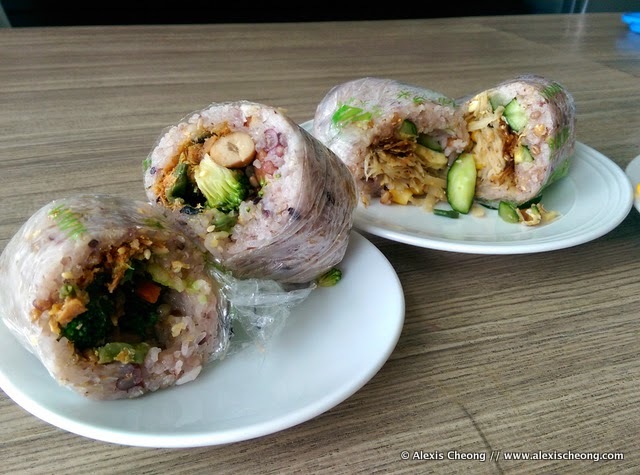 If you like, you can make your own rice roll combination! To order, choose a type of rice from 5 varieties: Mixed Grain Rice, Red Rice, Purple Rice, Brown Rice and Wheat Germ Brown Rice and pick 5 fillings from 24 vegetarian and 24 meat types. The staff will assemble and wrap it up for you with the steaming rice of choice. Did you know that instead of filling the rice cooker to the brim, it is only ¼ filled to ensure that the steam cooks the rice fully and not just at the sides? 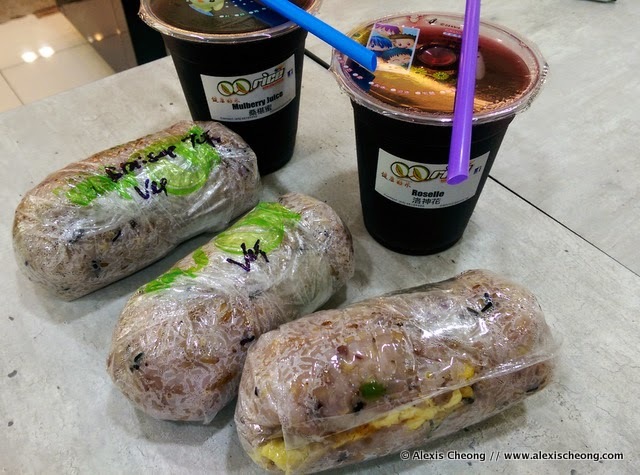 I had the good fortune to try all 3 of their Healthier Choice Rice Rolls during my visit. The wraps already had the fillings figured out for you and are available at $5.20 each. I found that mixed grain rice is the default for the healthier choice rice rolls so they are not only less than 500 calories but wholegrain as well! This is how the 3 rice rolls looked like when it came to me. Super cute, and portable to eat! I found that even the wrapper is flown in from Japan. 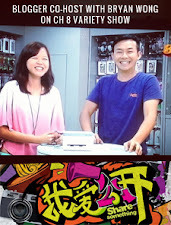 It is to keep the heat in but allow the customer to hold it comfortably to eat without scalding oneself. Here they are, once cut open. The smell was so good, I had to stop myself from eating them before taking these photos. What really surprised me was how flavorsome they were. I had expected it to be quite dry, bland and generally not so pleasant, but it turned out that these might very well outperform sandwiches with heavy dressings, by pure original flavor alone! My favorite among the lot was the vegetarian Braised Tofu Rice Roll, which comes with sweet corn, emperor vegetables, braised peanuts and braised tofu. The bite was solid but the mix of textures in there with the soft tofu and crunchy sweet corn was really enjoyable. The Gua Zai Meat (vegetarian) and Chai Fish Rice Rolls were really yummy too. 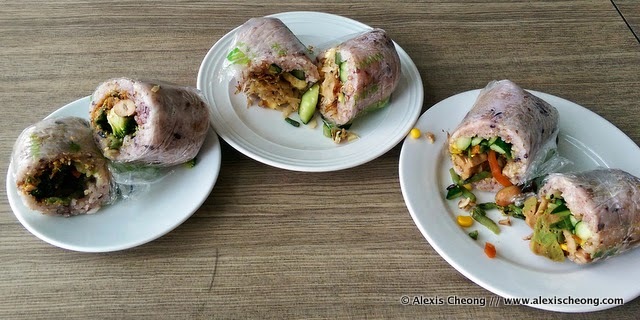 The Gua Zai Meat Rice Roll had bits of broccoli inside that goes well with the flavorsome vegetarian floss, while the Chai Fish one had sweet corn and cucumber to balance out the saltish chai fish, which gave the rice all its flavor. 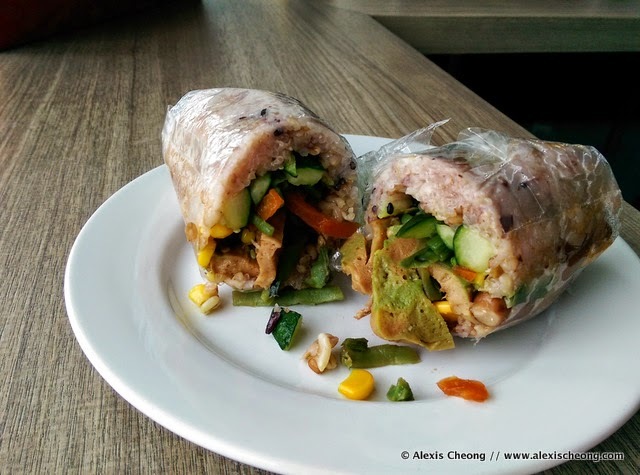 The clever use of braised peanuts in both the Gua Zai and Braised Tofu wrap meant that there’s a savoury sweetness and fragrance to the fillings inside. I think I just found another lunch option. I wish I could bring this to work and have it at my desk when it is raining or too hot to go out! Trust me when I say QQRice is one of the best places to get your rice fix from. No more mushy gloopy white rice, when you can have so many healthier alternatives! 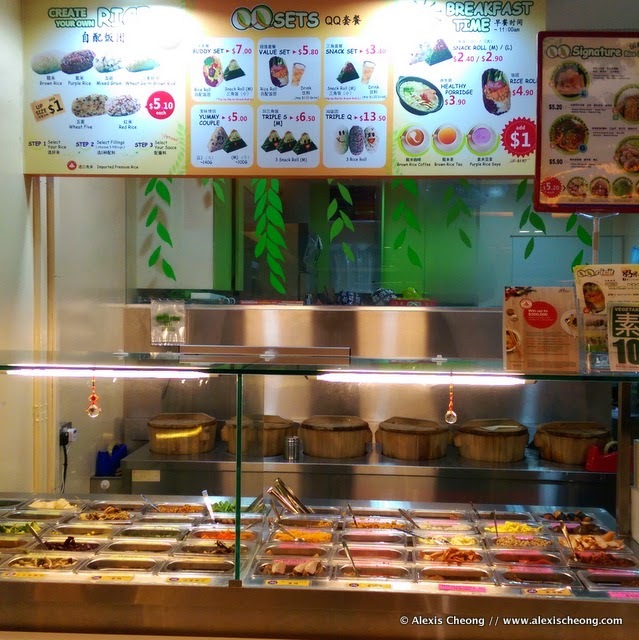 Here are a list of QQRice outlets around Singapore to try out these delicious wraps and rolls.